While technology has dramatically changed many industries over the past few years, the commercial real estate industry remained virtually unaffected until recently. One of the reasons for that is the fact that the commercial real estate industry is often held back by delayed negotiations and international barriers that tend to slow down transactions. All of that could soon change with the introduction of a new commercial real estate platform. A new cloud-based platform, MREN, has recently been launched in an effort to change all of that while helping buyers and sellers close more transactions in a more streamlined manner. Designed to function as a principal-to-principal commercial real estate transaction platform, MREN is the first of its kind. Through this network, commercial real estate buyers and sellers are able to come together virtually in order to collaborate regardless of where they may be located. As a result, both domestic as well as international real estate players are able to connect without worrying about geographic barriers. Both buyers and sellers are able to utilize the service to access data, documents, and communication tools instantaneously. For instance, MREN ensures that users no longer need to rely on emails in order to communicate multiple individuals. Users are also freed from using antiquated storage accounts and systems as well as from logging into multiple accounts. This makes it possible for users to identify opportunities, manage assets, and capitalize on deals in a much more efficient manner. Through the provision of such services, it becomes possible to minimize many of the aspects associated with real estate transactions that frequently take up a considerable amount of time. Such aspects typically include data collection and signing documents. Consequently, buyers and sellers are able to benefit from increased time for communication and collaboration. This results in faster and more efficient closings. The faster that real estate professionals are able to close transactions, the more they are able to increase their profit margins. Basically, MREN works by eliminating much of the fragmentation that has been common to the commercial real estate industry. By eliminating third-party barriers, MREN essentially provides users with their own private marketplace. Ultimately, MREN gives users the ability to manage the entire lifecycle of a project or asset using the latest technology. 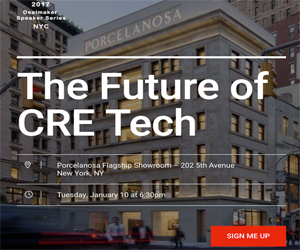 As the commercial real estate industry has become increasingly competitive, it has become more important than ever for buyers and sellers to leverage the latest technology to take advantage of enhanced efficiency. MREN is setting the stage to provide just such efficiency while also providing greater opportunities for globalized real estate transactions. Following MREN's launch, the platform is anticipated to attract approximately $500 million in private sector opportunities and another $2 billion in public sector development opportunities. MREN is the brainchild of Joy Hou and Floyd Kephart, commercial real estate veterans who founded Metis, a commercial real estate tech platform in 2013. Newer PostThe Top 5 Most Influential Real Estate Tech People…Of All Time!